The impact of Australia’s ageing population on the health system has been well documented. Now the impact on housing has been brought into stark realisation with the release of two major reports showing future retirees may not have the comfortable retirement they had hoped for. The new insights heap pressure on politicians and bureaucrats to urgently adopt better, more efficient, planning and superannuation policies as a priority. Failing to act could see thousands of retirees plunge below the poverty line. State and local planning systems that enable the development of more retirement villages and policies that encourage more saving may be the only way to avoid the crisis. The 5 A’s of Retirement Living report, commissioned by the Property Council of Australia (PCA) warns of a shortfall in retirement housing in the face of an over 65s population that is expected to double in the next ten years. Without a massive up kick in the availability of appropriate retirement living options, taxpayers will be forced to bear the brunt through much higher aged care costs. The report, compiled by RPS, showed retirement villages already generate $2.16 billion of budget savings annually. The super challenge of retirement income policy, calling for an overhaul of retirement policy to address housing affordability. CEDA warned failing to act could see an increasing number of people living in poverty in retirement and unsustainable fiscal pressure on the Federal Budget. The report called for investigation into a range of policy options, including allowing pre-tax mortgage repayments and superannuation being available for owner-occupied home purchases. “Two key trends, our ageing population and decreasing housing affordability, mean Australia’s retirement system structure needs a significant rethink,” CEDA Chief Executive Professor the Hon. Stephen Martin said. “Talk about our ageing population and the impact on retirement policy has been part of national debate for many years but the impact of sustained housing affordability issues is only just beginning to be recognised as a significant issue for retirement policy. “However, if it is not addressed the long term consequences could be significant with an increasing number of people living in poverty in retirement and unsustainable fiscal pressure on the Federal Budget. 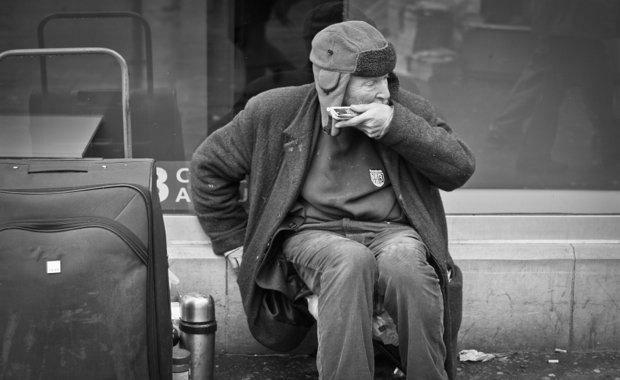 “We already know from CEDA’s report Addressing entrenched disadvantage in Australia, released in April this year, that between 1 and 1.5 million Australians live in poverty and the elderly, particularly those who do not own their home, are an at-risk group. In fact, the overall poverty rate of older people in Australia is three times the OECD average, and one of the highest. “Without a significant policy overhaul, that number is likely to significantly rise over the next 40 years. The PCA report also recommended a range of new policy options including setting retirement living housing targets, fast-tracked approvals and making retirement living a permissible development in all residential zones. Without such changes, investment in new retirement villages will stagnate, leaving older Australians with fewer housing options that support healthy ageing and independent living. “The rapid increase in the number of older Australians needs to be matched by an increased determination by politicians and town planners to support the development of more seniors housing,” said Mary Wood, Executive Director – Retirement Living. “Purpose-built homes in retirement communities that are well located and expressly designed to support older Australians to be happy, independent and socially engaged is an important goal – but not one that our planning systems are well placed to achieve. “By 2025, the demand for retirement living accommodation for people aged over 65 years is expected to double. But at the current rate of development, there simply will not be enough supply of retirement communities to meet demand. Rate rebates for retirement village dwellings.